← Postcard From Walkable [Old] York! This week, Walkable Princeton is running some stories from our recent overseas vacation, about towns with walkable ideas that might be relevant to life in Princeton. Previous posts in this series are here. Our regular local content is back after Labor Day. Think of a historic town with great independent stores and restaurants, and an extremely environmentally-conscious residents. Princeton? No, we’re talking about Brighton, England! The seaside town (known to older readers as the location of the 1979 movie, ‘Quadrophenia‘, featuring Sting, the singer from ‘The Police‘) dates to Roman times. In more recent years it became known as a beach destination for vacationers from London and the south of England. 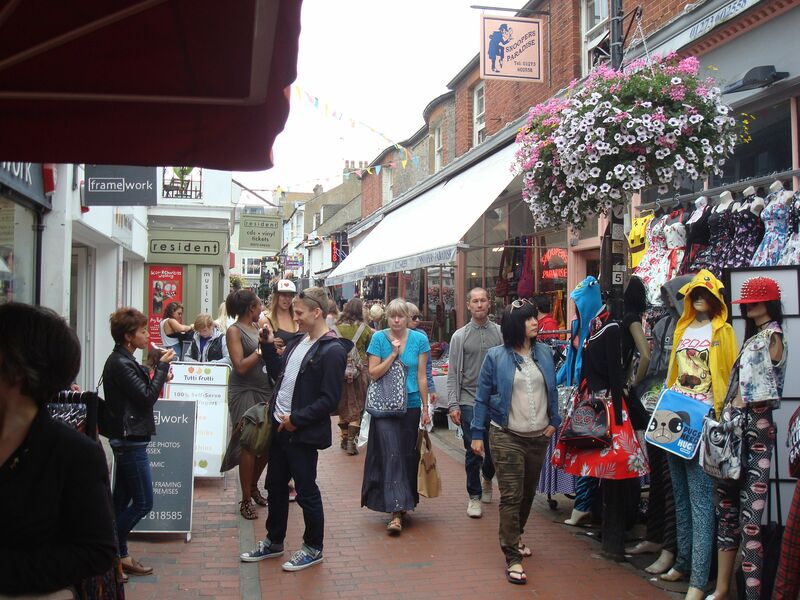 Now British folks routinely fly to warmer places with proper sandy beaches, and many traditional seaside towns are down on their luck, but Brighton has reinvented itself as a bustling, eclectic place to live. 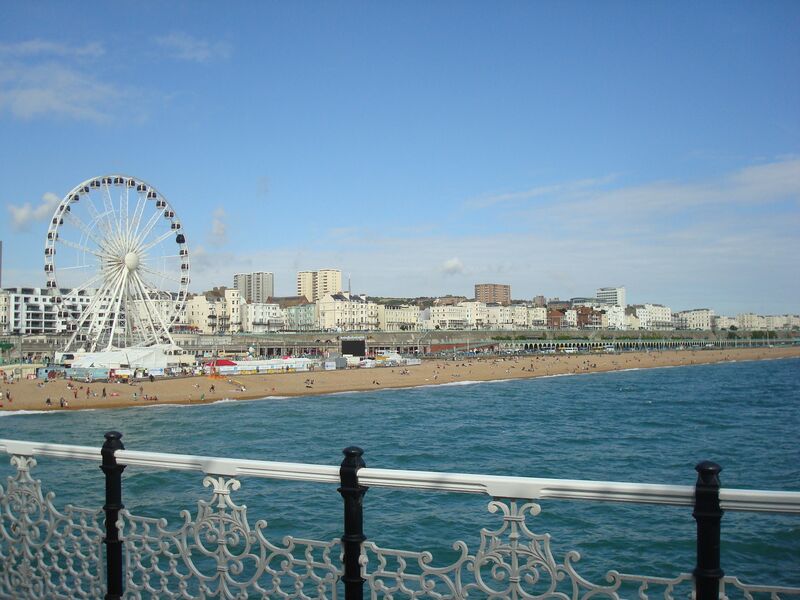 Brighton is surrounded by the South Downs national park, a beautiful area of chalk hills. Development is limited to a small strip extending along the sea, providing the sort of density that makes public transit . 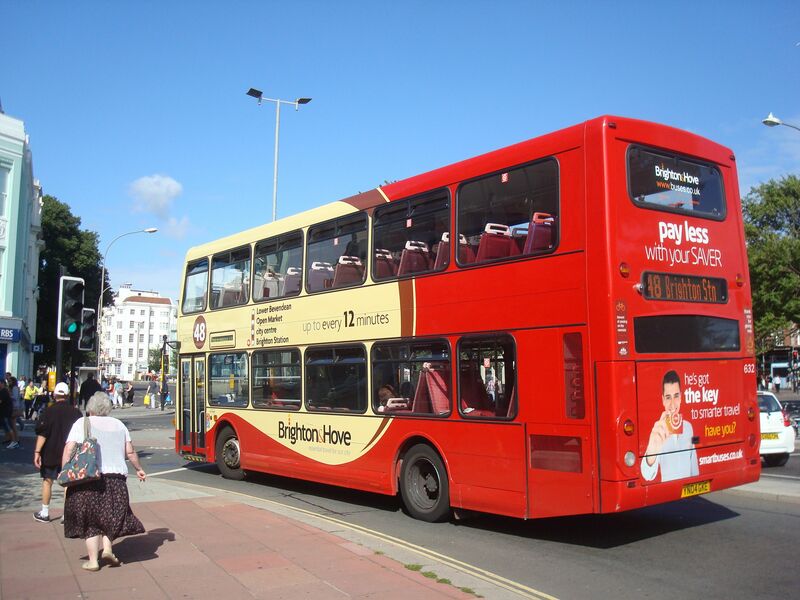 Brighton has stepped up with a range of bus lines that are heavily used. Many of these buses are advertised as ‘one every 12 mins’, or ‘one every 5 mins’. Knowing that you won’t have long to wait for a bus makes people much more likely to use buses, an observation that transit guru Jarrett Walker calls ‘Frequency is Freedom‘. 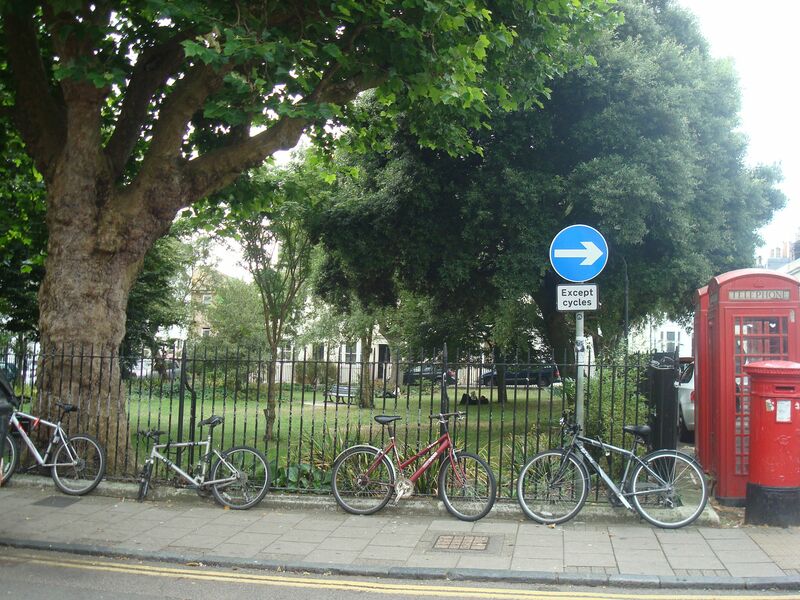 Brighton also does a great line in small parks, which help to break up the city. This tiny park, in the North Lane area, was the temporary home of several happy sunbathers. In Princeton, we have acres of parkland, but much of it is not near where people live. Sometimes people have to drive to go to the park, which is kinda crazy. A park does not have to be large to be a fantastic public space, but it helps if it’s very close to your home. 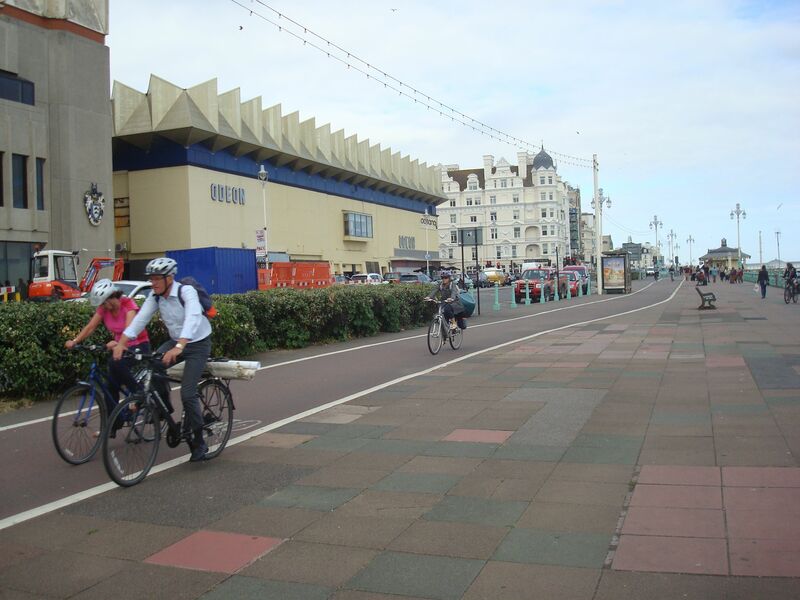 Brighton is not without its problems, not least a very expensive local property market associated with the increasing population, and being recently accused of being ‘too trendy and bohemian’. However, if you want character, excellent dining and a fun place to walk around, you won’t do much better than here. Just remember that it’s still England, so it might pour down with rain at any moment – even in August! 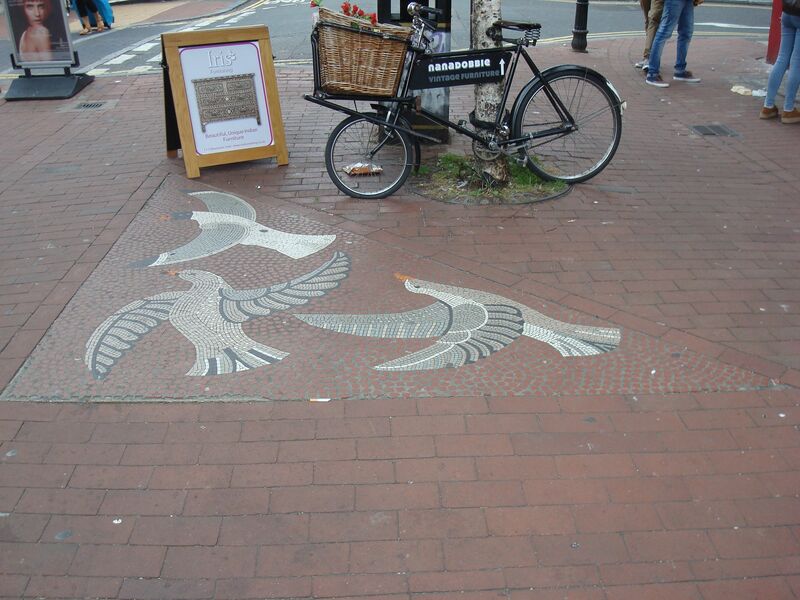 Ever been to Brighton, England? Or have you been anywhere else good on vacation? Feel free to leave a comment below. Local content returns next week. 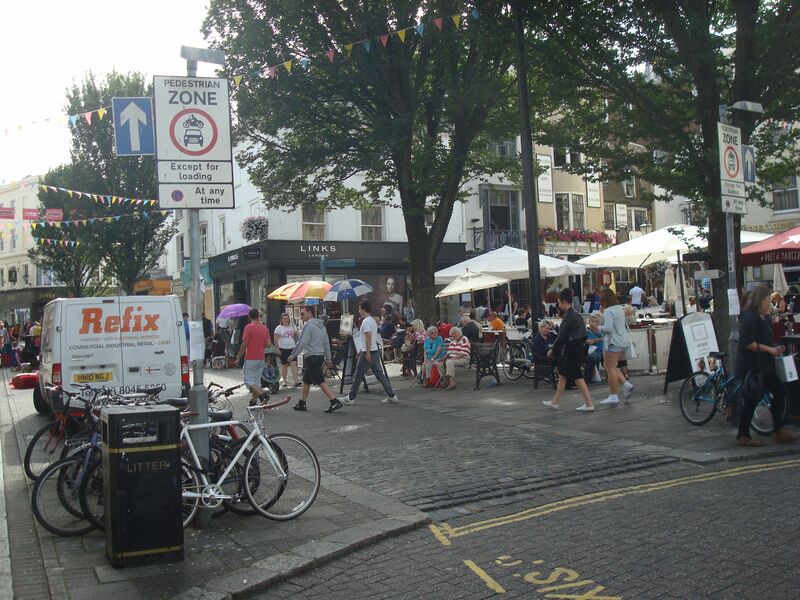 This entry was posted in Alternative Transportation, Biking, Complete Streets, Density, Downtown Vibrancy, Sustainability, The Parking Question and tagged Brighton, Brighton & Hove, Bus, North Laine, Princeton, Seaside resort. Bookmark the permalink.